Why Home Security Systems? As your most valuable asset and the place where you and your family deserve to feel most secure, your home needs the protection of a monitored alarm system. Compared to the devastation and loss a break-in can cause, your investment in a home security system is quite reasonable. Monitored by the Chubb Edwards group of alarm companies, which is currently securing over 100,000 homes and businesses, Smart4U Smart Home & Security Systems provides excellent peace of mind and added benefits you may not be aware of. Residences protected by monitored home security systems across Toronto, Mississauga, Brampton, Oshawa, Hamilton, Oakville, Ajax, and the GTA are up to 40 times less likely to suffer a break-in than homes that are otherwise unprotected. 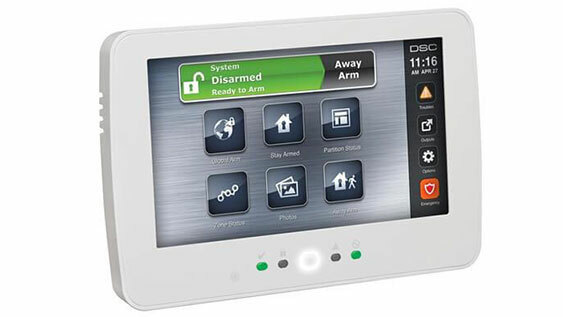 Smart 4U Smart Home & Security offers a wide variety of hard-wired, wireless and smart home security systems that when triggered, both you and our monitoring station are notified and if needed, the authorities immediately dispatched. Not only does this work as a deterrent for would-be thieves, it ensures prompt emergency response when an attempted break-in is confirmed and eliminates unnecessary responses in the event of a false alarm. Monitored alarm systems can save your life in the event of a break-in or fire due to the speed at which emergency response occurs. The faster the emergency response units arrive on scene, the less chance a thief has at confronting you or your family or escaping with your belongings, even if they risk entering at all. In the case of fire or a carbon monoxide leak, the speed of response will not only mitigate losses, it could mean the difference between life and death. 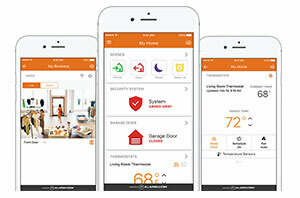 monitored by a Smart 4U Smart Home Monitoring system in Toronto, Mississauga, Brampton, Oshawa, Hamilton, Oakville and the GTA, you will see a significant savings on your annual premiums. In fact, home security systems are proven to save money and most insurance companies will provide discounts of up to 20% on your premium if you have one installed. Peace of mind is priceless and Smart4U Security offers you just that! For more information on all our Home Security Systems & Alarm Systems, call 905-488-4393 to learn more or contact us for a free estimate today.